Today is Jason's birthday. He is 4 years old but he doesn't want to be 4. 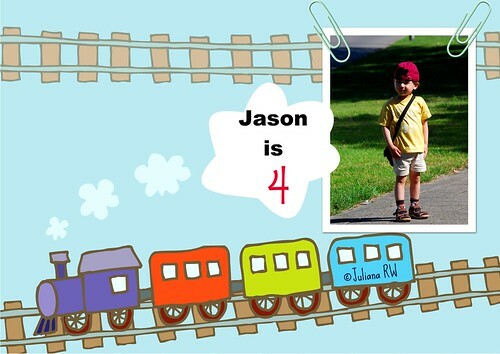 Jason: I don't want become 4. I am still 3 years old. Me: But you are 4 now. Jason: I DON'T want 4. Me: OK! You are still 3 but plus 1. Hahahaha three plus one, happy birthday Jason..
HA HA HA HA...Jason is funny he he he...Happy belated birthday for Jason!!! Hope he grows to be the best that he can be and may God protect him always. No more pain after the operation?? ?